Dassault Systèmes is proud to announce our 2019 partnership with Morphosis, a thought leader in ground breaking design and architecture. Experience the iconic Design for Life installation at the Milan Design Week that will reveal how hidden networks, processes and design language are used to solve our urban challenges. 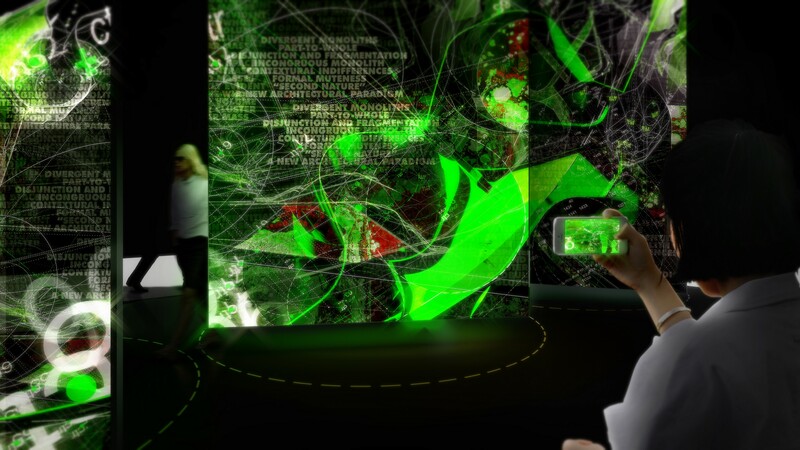 Morphosis is collaborating with Dassault Systèmes for their flagship installation at the 2019 Milan Design Week, an international nexus of provocative ideas, technology, products, and design. With an increasingly urban global population, architects have an especially critical responsibility to ensure their practice is aligned with today’s needs and technological capacities. Morphosis Architects’ buildings and projects have been recognized worldwide for setting new precedents in form, constructability, and sustainable design. An early adopter of CATIA and parametric technology, Morphosis has a longstanding collaborative relationship with Dassault Systèmes, providing development feedback on new features and employing the platform through all phases of design and delivery, from immersive concept visualization through the resolution and optimization of complex, energy-saving façade systems. Morphosis’ Director of Design Technology Kerenza Harris has headed the firm’s use of parametric software since 2008. She has overseen groundbreaking applications of Dassault Systèmes 3DEXPERIENCE in multiple projects, such as for the creation of a modular precast concrete façade for the Perot Museum of Nature and Science (a National AIA Honor Award winner, 2016) and a monocoque FRP unit brise-soleil for the Kolon One & Only Tower in Seoul. Harris is also a faculty member at the Southern California Institute of Architecture (SCI-Arc), where she leads seminars introducing students to design and visualization with the Dassault Systèmes 3DEXPERIENCE platform. In both education and practice, the ability to manage and utilize complex data and feedback completely transforms the processes of architecture and the scope and impact of design solutions. It also demands a new type of design thinking, to effectively utilize this capacity to address the interconnected nature of global issues of energy, food supply, and social equity. Instead of pursuing single solutions, tomorrow’s designers will achieve sustainability through embracing design as an active, iterative interface between people, environment, and contingency. Morphosis’ installation for Design in the Age of Experience 2019 emerges from this vision, shifting focus from solutions as a single end-product, to immerse visitors in the design process itself, where multiple possibilities are still in play.